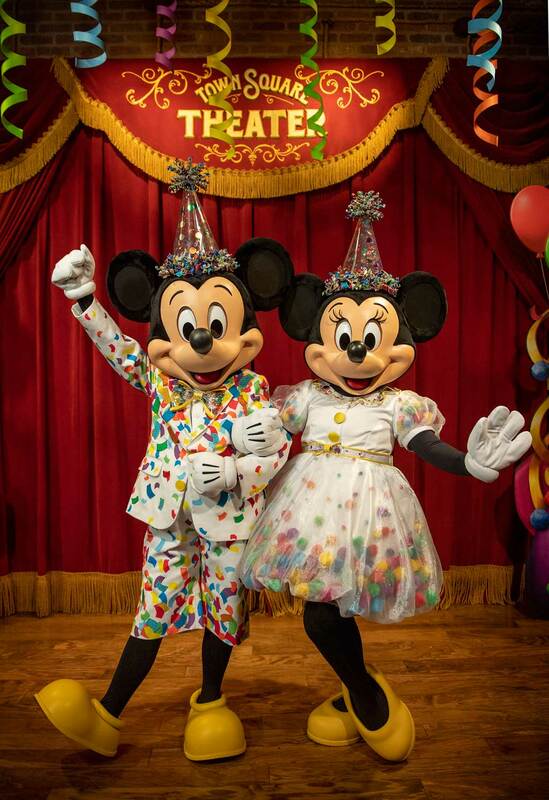 Explore Mickey & Minnie’s Surprise Celebration; party with Pixar pals; discover more Broadway-style musical performances than ever before; and Hakuna Matata – it’s dancing time! Mickey Mouse and Minnie Mouse greet guests together in Town Square Theater as part of Mickey & Minnie’s Surprise Celebration at Magic Kingdom Park at Walt Disney World Resort in Lake Buena Vista, Fla. Guests can dance with Mr. Incredible, Mrs. Incredible and Frozone as part of An Incredible Celebration in Pixar Place at Disney’s Hollywood Studios at Walt Disney World Resort in Lake Buena Vista, Fla. 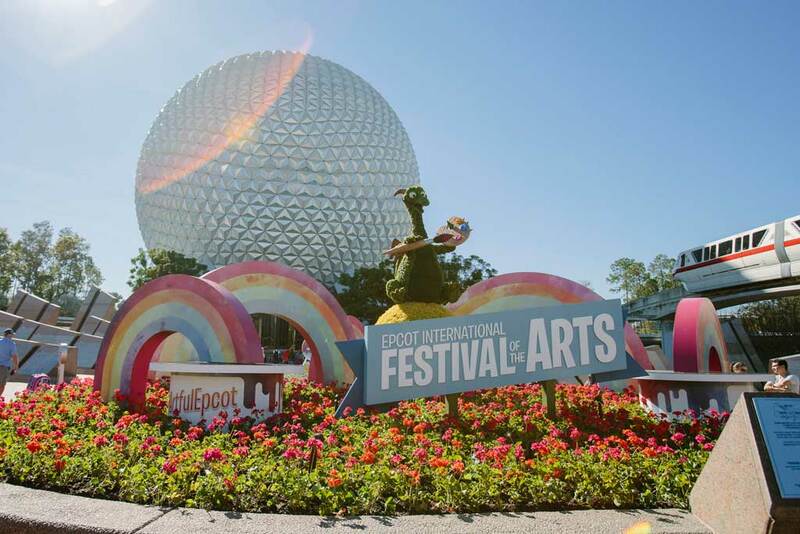 The loveable Figment welcomes guests to the 2019 Epcot International Festival of the Arts at Walt Disney World Resort in Lake Buena Vista, Fla. The annual event celebrates the culinary, visual and performing arts. The 2019 Epcot International Festival of the Arts comes to life Jan. 18-Feb. 25, where guests indulge in world-class culinary, visual and performing arts, including the Disney on Broadway Concert Series that expands this year to every day of the festival. The Tree of Life at Disney’s Animal Kingdom will awaken in a whole new way to honor “The Lion King.” Starting Memorial Day weekend and appearing nightly through Sept. 30, stunning projections on the iconic tree will feature music and animation paying tribute to the classic film. Guardians of the Galaxy – Awesome Mix Live! 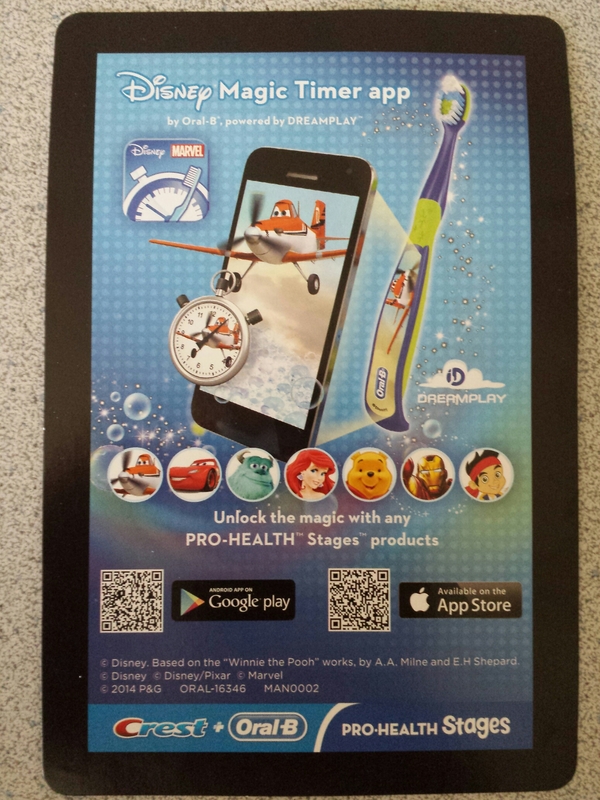 returns to Epcot this summer. Star-Lord and Gamora from the Guardians of the Galaxy films will take guests on a musical journey through the cosmos, showcasing hits from Star-Lord’s Awesome Mix tapes. Live shows will take place daily from June 14 through Aug. 18. Curtain up! 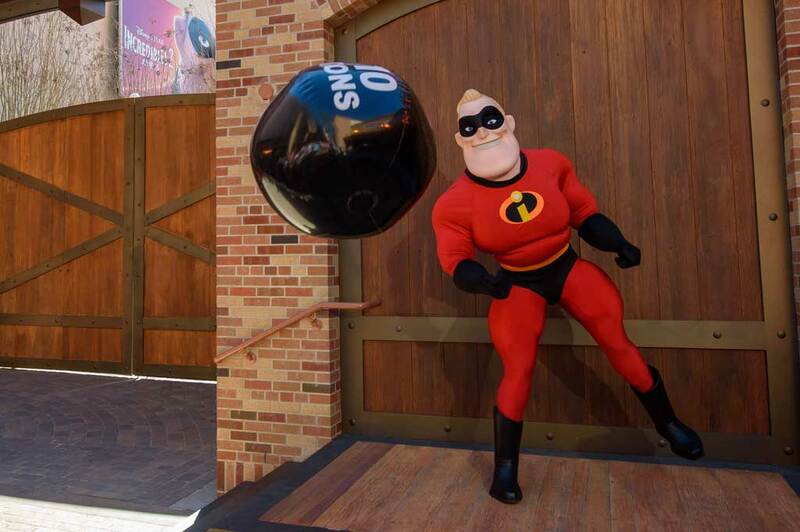 All of these new shows, parties, character experiences and more demonstrate how, across the vast, 40-square-mile stage that is Walt Disney World Resort, live entertainment plays a starring role each and every day. Since the first parade stepped down Main Street, U.S.A. in 1971, shows have filled stages and streets, resorts and festivals, lakes, lagoons and skies with Disney magic for nearly 50 years. With more live entertainment at Walt Disney World than Disney creates anywhere else around the globe, guests enjoy everything from Broadway-style stage shows to nighttime fireworks spectaculars to those little surprise moments that can seem to appear magically around any corner. Nearly 200,000 shows, parades, spectaculars, special events and other live performances are produced every year at Walt Disney World. That’s literally millions of live performances since the resort opened in 1971. Most of these experiences are included in theme park admission, providing a tremendous entertainment value. Guests can spend days in the parks and resorts and still not see all the live entertainment available to them. “Live entertainment is the heartbeat of Walt Disney World Resort, and we have an incredibly diverse variety of entertainment offerings that we bring to guests every day in our parks and resorts,” said Bettina Buckley, vice president of Disney Parks Live Entertainment. 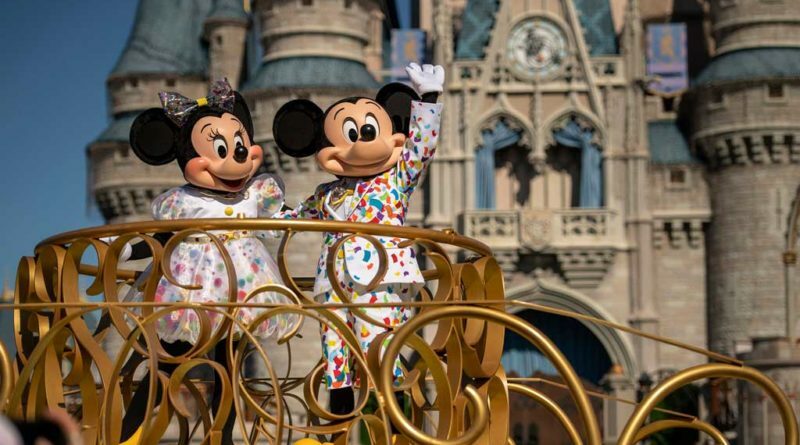 CENTER STAGE: Live entertainment at Walt Disney World can be as grand as a full ensemble cast on the castle forecourt stage for Mickey’s Royale Friendship Faire or as intimate as the Dapper Dans barbershop quartet harmonizing on a Magic Kingdom street corner. It can be action-packed thrills at the Indiana Jones Epic Stunt Spectacular at Disney’s Hollywood Studios, or it can be sitting around the campfire with Chip and Dale at Disney’s Fort Wilderness Resort. More unique encounters find wide-eyed kids talking live with Crush, the righteous reptile star of Turtle Talk with Crush at Epcot, or being face to foliage at Disney’s Animal Kingdom with DiVine, a walking stick of green wrapped in climbing, winding vines. Double-takes are guaranteed for the 10-foot-tall Pandora Conservation Initiative Utility Suit operated by a conservation scientist roaming Pandora – The World of Avatar at Disney’s Animal Kingdom. And it’s custodial craziness as the JaMMitors drum on trash cans to the delight of Epcot guests. The Garden Rocks Concert Series at the Epcot International Flower & Garden Festival expands in 2019 to every day of the festival, March 6-June 3. With three shows nightly for all 90 days of the event, Garden Rocks will deliver an amazing 270 concerts this year at the America Gardens Theatre! The Disney Springs district is a haven for live entertainment, from Irish music groups performing nightly at the lively Raglan Road pub to concerts at House of Blues to live performers at The Edison and much, much more. Singers and dancers transport guests to the South Pacific at the Spirit of Aloha Dinner Show at Disney’s Polynesian Resort, while diners receive heaping helpings of cornpone humor at the Hoop-Dee-Doo Musical Revue at Disney’s Fort Wilderness Resort. Live comedy is king at the Monsters, Inc. Laugh Floor at Magic Kingdom, hosted by the monsters of Monstropolis. The sweeping promenade outside Disney’s BoardWalk Resort rekindles the golden age of mid-Atlantic resorts with jugglers, magicians and more. When the sun goes down and the lights turn on across this quarter-mile-long stage, the boardwalk transitions into an energized street festival. Intimate entertainment moments abound, such as the talented pianists near Casey’s Corner at Magic Kingdom, in the lobby of Disney’s Grand Floridian Resort & Spa or at the charming Rose & Crown Pub in the Epcot United Kingdom pavilion. Guests can also thrill to the stirring patriotic music performed a cappella by the Voices of Liberty in The American Adventure at Epcot. CENTER STAGE: With pirates, princesses, Mickey Mouse, Minnie Mouse and so many more favorite Disney characters, fairytale dreams come true in Disney’s Festival of Fantasy Parade at Magic Kingdom. Full of color, characters, acrobats, music and fantastic floats, this is a must-see theatrical spectacle performed daily. Star Wars fans at Disney’s Hollywood Studios stand in awe as ruthless Captain Phasma leads her Stormtroopers in the March of the First Order down Hollywood Boulevard. A nighttime spectacle of lights – the playful Electrical Water Pageant – snakes, parade-like, along waterways of the Magic Kingdom Resort Area. CENTER STAGE: The skies above Walt Disney World come alive at night with darting lasers, dancing spotlights and spectacular fireworks in live entertainment spectacles that leave guests breathless. With amazing projections on Cinderella Castle and fireworks exploding in the skies above it, Happily Ever After is a dazzler showcasing current and classic Disney stories. It’s accompanied by “Once Upon a Time,” a nighttime show using projection-mapping technology to dramatically fill every nook and cranny of Cinderella Castle with Disney magic. Epcot guests stand in wonderment as IllumiNations: Reflections of Earth unfolds before them, bursting forth above World Showcase Lagoon in homage to the nations of the world, with a memorable soundtrack and brilliant effects. Now, more than ever, is the time to say farewell to IllumiNations, as it is scheduled to complete its nearly 20-year run in the second half of 2019. Spellbound guests of Disney’s Hollywood Studios see the forces of good and evil battle it out in Fantasmic!, an amazing spectacle of pyrotechnics, laser lights, characters, music, decorative floats and dancing water taking audiences through the imagination of Mickey Mouse. Guests relive memorable Star Wars moments projected onto the Chinese Theater at Disney’s Hollywood Studios with Star Wars: A Galactic Spectacular, featuring the music, magic and characters of the film series accompanied by sensational fireworks, lasers, fog effects and more. Tree of Life Awakenings at Disney’s Animal Kingdom leave guests gazing in wonderment as animal images emerge nightly from within the mystical tree – anything from flickering fireflies to a leaping doe to love blossoming among hummingbirds. CENTER STAGE: It’s a pulse-racing moment when you know you’re about to meet Belle in her storybook house, Ariel in her mermaid grotto, Buzz Lightyear, a Star Wars hero or that true original, Mickey Mouse. More than 80 Disney characters greet guests at Walt Disney World theme parks, water parks, resort hotels and more (that’s 2,300-plus greetings a day! ), so magical encounters are seemingly possible almost everywhere guests turn. Around World Showcase at Epcot, guests find Disney characters in the countries that inspired their stories, including Anna and Elsa in Norway, Mulan in China, Snow White in Germany, Aurora in France, and Alice in the United Kingdom. Star Wars Launch Bay at Disney’s Hollywood Studios boasts a galaxy of stars from the film series, including BB-8, Chewbacca, Kylo Ren and Stormtroopers. When kids and their parents sit down to a meal at special character-dining experiences, faces light up! Passing among tables for photos, autographs and hugs are cherished Disney characters, from Goofy to the Disney princesses, Winnie the Pooh to Mickey Mouse. Disney’s Wilderness Lodge is home to the new Storybook Dining at Artist Point, where guests meet Snow White, Dopey, Grumpy and The Queen. #Disneyland Adventureland traffic is one way right now due to congestion. Exit only to hub.